The Chinese seem to bring in aspects of many cultures… especially those having to do with the family and giving. santa travels everywhere and is interpreted in such funny ways. originally, he was a combination of someone from turkey who became combined with the icelandic shamanic tradition somewhere in europe. from that he has become a symbol of protection, judgment, commercialism, happiness, who knows what else. 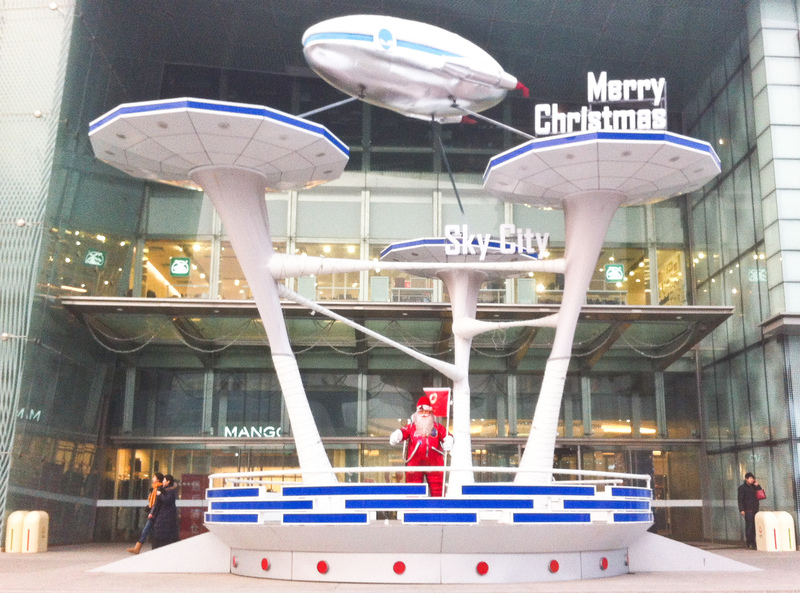 here it seems to be santa and his space ship. where are the reindeer?